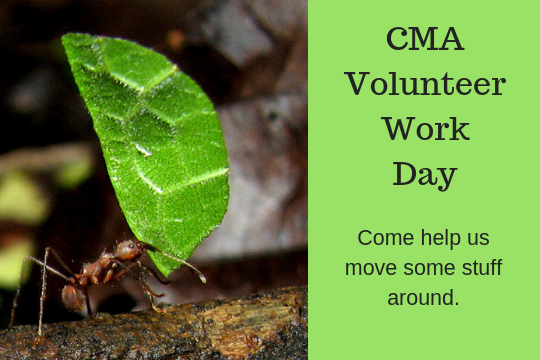 I Want to Volunteer at to Help at the CMA! For safety reasons, we have rescheduled this work day to Sunday, December 9, 9am-12pm at the CMA (83 Tiger Lily Lane, Morristown NJ). The trails will be closed Saturday, December 8 for the last day of shotgun hunting season as part of the deer management program. We apologize for the inconvenience. Come help us maintain and improve our 73-acre Conservation Management Area. Tasks will include trail maintenance, fence repair, and invasive plant removal. Lighter tasks will also be available. Bring your best energy and enthusiasm! Conditions may be wet or muddy. Long pants, sturdy shoes or boots are encouraged. We’ll bring the coffee and donuts to help fuel you along. Participants under 14 must be accompanied by a parent – community service hours can be earned for your school. Registration is required. Questions? Call us at 973-538-3500.